Bad news, the 16-17 ski season is almost over. Good news? It’s almost time to get out mountain biking and road cycling in the alps. Morzine and Portes du Soleil has a never ending supply of trails and road climbs to explore. We’re keen bikers at Mountain Spaces (that’s us above), so we will happily help you plan your trip. Even better, in June 2017 there’s two very different but equally exciting biking events you can join. Even better better, we’ve got some special biker accommodation deals in our self-catering chalets. The Grand Trophée is one of France’s best known cycling tours taking in some of the most beautiful regions of France with 11 unique tours. 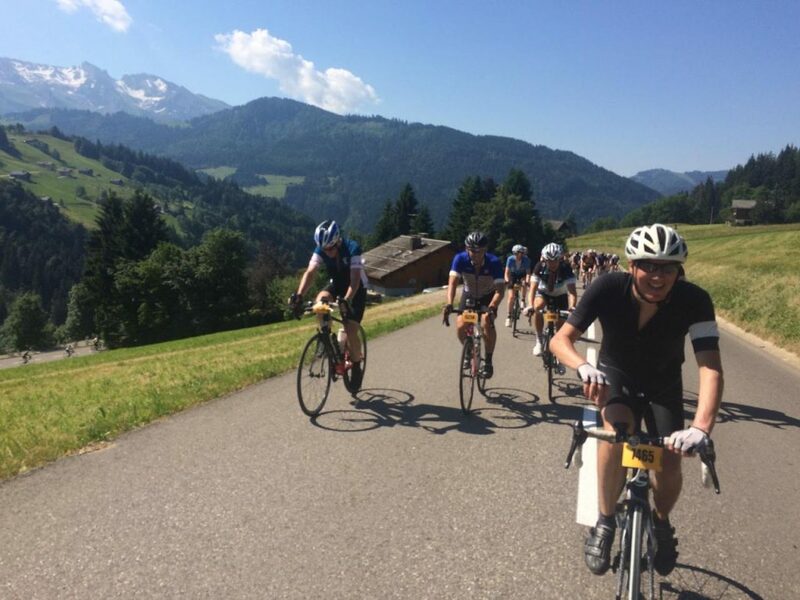 Tour 8, on the 18th June is the Morzine Haut Chablais road bike cyclo sportive, including some legendary Tour de France stretches. It’s a great event, open to everyone and exceptionally well organised with well marshalled routes and a big pasta party at the finish line. There are two different routes, the Mediofondo 105Km route and the Granfondo 155km route for those who really like a challenge. We’ve taken part for the last three years and we’ve just signed up again for this spring, come and join us! 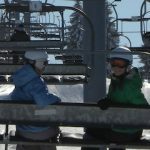 Now in it’s 14th year, Pass’Portes du Soleil is a 3 day MTB ride taking in 9 different resorts across France and Switzerland. The total route is approximately 80km with 6000 metres of downhill and 1000 metres of uphill. You get a bit of help with the uphill, 15 different lifts included as part of your entry. 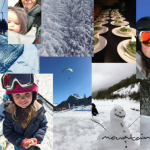 The route should take one day and you can start from any of the 9 resorts, one of which is Morzine. Alongside the trail you can also attend the fantastic MTB Bike show in Les Gets, just round the corner from us in Morzine. We’d be delighted if you would consider staying in one of our self-catered chalets during your cycling holiday in Morzine. Our luxury chalets offer large en-suite rooms, huge lounge and dining areas, outdoor hot tubs, saunas and games rooms. All in all, the perfect spaces for winding down after a hard day’s biking. We can even offer some special deals for Morzine Chablais and Pass’Portes du Soleil, see below. Coming another time? Get in touch and we’ll see what we can do. Prices are to hire the whole of each chalet for up to 14 people on a self-catering basis. Seven night hire is also available for £1300. Prices are to hire the whole of each chalet for up to 14 people on a self-catering basis. Seven night hire is also available for £1500. Get in touch now to start arranging your perfect biking holiday in Morzine.